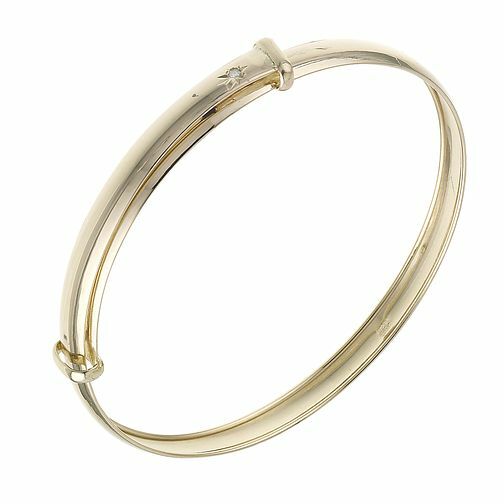 A stylish 9ct gold, expandable baby bangle. Featuring a single diamond, this is an ideal gift. 9ct gold expandable diamond child's bangle is rated 5.0 out of 5 by 3. Rated 5 out of 5 by Anonymous from Great quality! Lovely looking Bracelet Purchased this for my son for his Christening’ is perfect! Rated 5 out of 5 by Anonymous from Lovely Look lovely in my baby hands. And my wife was really happy with it, thanks Ernest jones.